There are about 20 different species of rabbit and are found world-wide, except Antarctica. Their fur is grey or grey-sh fawn, with dark tops at the back of the ears and upper side of the tail. It has long ears and large eyes and can be seen mostly at dusk and dawn. 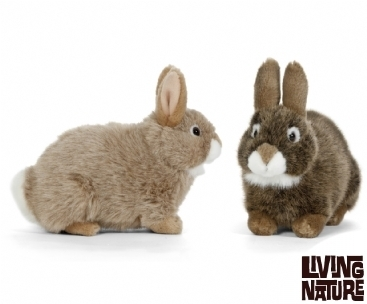 Learn more about European Rabbits with Living Nature! Every animal comes with hang tags packed with interesting facts!